Celebrate your BFF’s big day! | Image courtesy Unsplash user Bewakoof.com Official. I gave one of my greatest birthday gifts for my best friend when I was just a kid. On her 8th birthday, I got her a “best friends” necklace. You might remember the kind. It was actually two necklaces, connected by one heart, that you could split in half and share. To this day, we both still have our halves, even if they are a bit weathered from time. That’s the great thing about bday gift ideas for your best friend—even if what you gave them cost nothing more than a few dollars, they’ll cherish those gifts forever. You really can’t go wrong when you’re looking for a birthday gift for your bestie. After all, you probably know them as well as they know themselves! But sometimes, you run into a situation where it feels like your best friend already has everything. If you’ve known them long enough, chances are you’ve gone through a lot of gifts, which might leave you feeling a bit stumped. 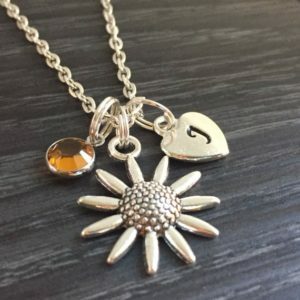 When looking for birthday gifts for your best friend, it might help to seek out items like my “best friends” necklace that hold special significance for the two of you. My advice is to focus on the meaning behind the gift rather than the gift itself. Topaz represents friendship. | Image courtesy Etsy seller LuckyUCharms. Giving a meaningful gift to your best friend doesn’t require being quite as on the nose as my “best friends” necklace was. There are a lot of ways to give an item that celebrates your friendship without literally spelling it out, after all. Items we give as gifts on a regular basis often have a hidden meaning that you can use to add depth to your present. Gemstones: Many gems, including low-cost ones, represent friendship. Topaz, garnet, turquoise, and lapis lazuli are all relatively cost-effective gems that are traditionally believed to symbolize positive platonic connections. Consider getting one set in a necklace or bracelet to celebrate your friendship. A flower print can also symbolize your connection. 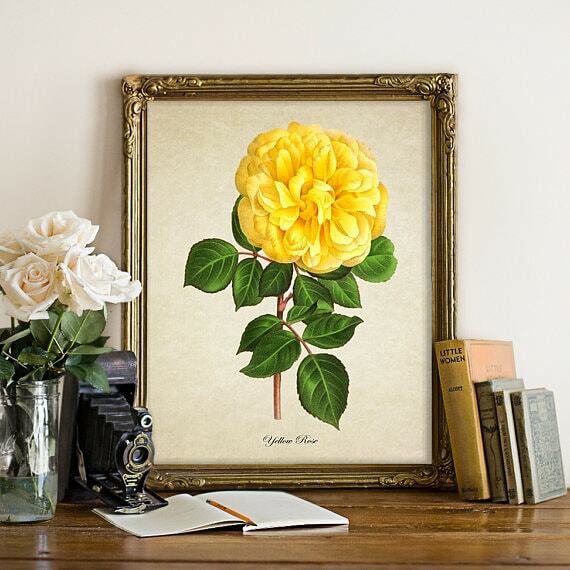 | Image courtesy Etsy seller ttgbotanicalprints. Flowers: Orange or yellow roses represent friendship, as do zinnias and chrysanthemums. Of course, you don’t have to take this literally and get your friend a live plant or a bouquet. A print or picture works as an excellent alternative, or consider an item of clothing or piece of jewelry with a floral motif. 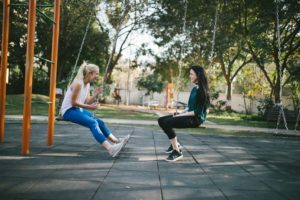 Colors: Choosing colors in the friendship palette can offer a good alternative to relying on your best friend’s favorite color. Colors like orange, yellow, and green represent harmony, love, and positive energy in relationships, while blue and purple symbolize trust and stability. Simple symbolism is a wonderful way to evoke friendship in your gift. 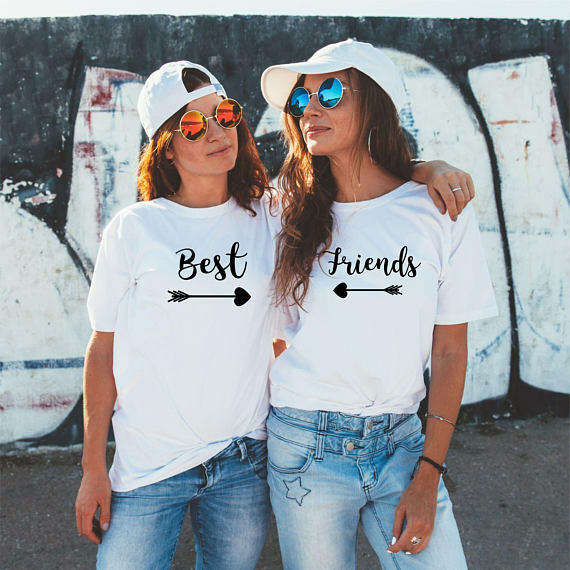 Choose items that take those friendship elements into account, and you’re sure to have an easy time coming up with some bday gift ideas for your best friend. However, if you’ve run over the list and you’re still stuck for ideas, a gift registry can be a useful tool. 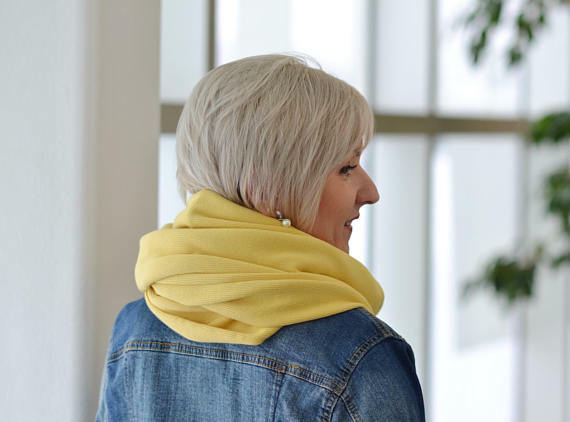 Yellow is a great color for representing friendship. | Image courtesy Etsy Seller ApRTCreations. The great part of having a best friend is that your relationship is close enough for you to just ask for what you want and vice versa. An online gift registry allows you both to create easily shareable wish lists for any occasion, so you always know exactly what to get each other. Creating wish lists is especially useful if, as the best friend, you’re in charge of planning your best friend’s birthday party. With an online registry like Elfster, you can manage the event and the wish list without ruining the surprise for your friend. Provide ideas for gifts: Obviously, the most important part of an online registry is the items it offers. Seek out a site that offers well-organized gift guides for a variety of occasions. Offer mobile compatibility: Most people spend a lot of time on their smartphones these days, so a registry that is easy to use in a mobile format is a must for keeping track of gift ideas on the go. Integrate multiple retailers: A common problem with registries is that they restrict you to using gifts from just one retailer, causing you to limit your gift ideas or have several registries on different sites. Instead, look for a registry that allows you to add gifts from anywhere, using multiple methods like direct links, text requests, and built-in browser buttons. Allow for simple tracking: You don’t want your best friend getting duplicate gifts, so make sure they use a registry that lets you keep track of who’s getting what. That way, you’ll know what your friend still needs as well as what she’s already getting. Remember all the good times. | Image courtesy Etsy seller BeUniqueLtd. An online registry can be a useful tool for getting gift ideas for your best friend’s birthday, whether you’re planning an event or buying a single gift. That way, you can get a gift you know your best friend will appreciate. By looking at the meaning of your gift and taking your best friend’s opinion into account, you should be able to come up with the perfect birthday gift to celebrate your best friend’s special day. You don’t need to spend a lot of money, either. As I learned with my “best friends” necklace, sometimes the most special gifts aren’t the most expensive ones. Rather, they are the ones that best help you remember your friendship throughout the years. Still not sure what to get your best friend? Try browsing Elfster’s Happy Birthday Gift Guide. You can share your favorite ideas and talk with the Elfster community on Facebook, Instagram @Elfster, or Twitter @Elfster. Essa has an MA in English, with a concentration in creative writing. A New England native, she traded blizzards for hurricanes in 2010 when she relocated to Central Florida. She now spends her free time attempting to grow temperamental orange trees and keeping her 9-pound Maltese away from roving alligators. Her favorite thing about Elfster is the secret santa app. Her go-to gift is handmade jewelry, especially the kind that incorporates natural stones with a lot of symbolism and healing properties, like amethyst and rose quartz.